Lemonade is a quintessential summertime drink, and it’s hard to imagine a barbeque without it. I recently found myself with a jug of leftover lemonade in my fridge, luring me in with its tart sweetness every time I opened the door. I’d take a little sip here and there, but more than anything, I felt compelled to turn it into a refreshing summer dessert. Cake recipes nearly always rely on both liquid and sugar, so I decided to create one using the lemonade to help fill these roles. 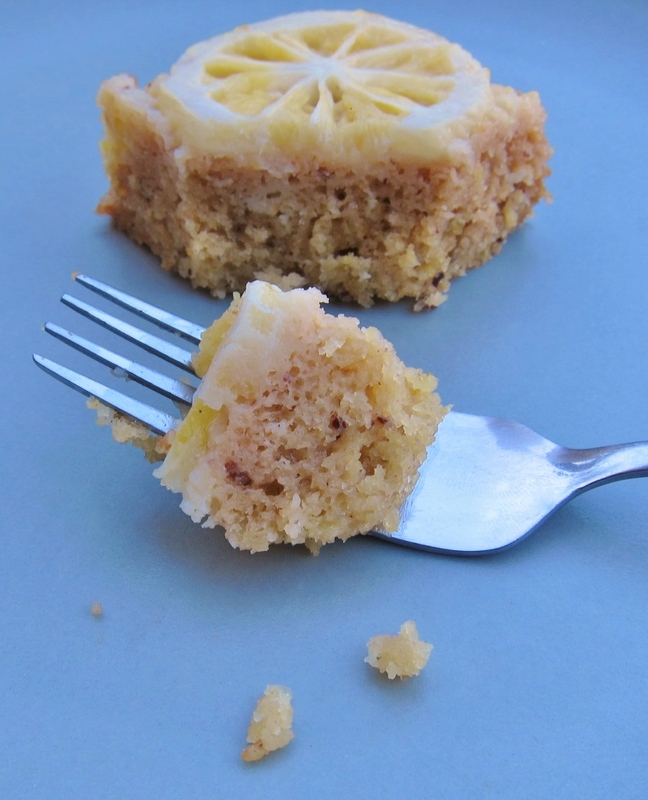 Since Meyer lemons are soft with a milder texture than the standard kind, it was their pretty slices in a casual cake format that I pictured from the beginning. A sweet corn version of the dessert would bring to mind another seasonal staple, while a more traditional variety could showcase speckles of tasty, tender almond meal. Here are both variations in one easy recipe. Preheat oven to 350 F. In a large bowl, beat the eggs, remaining ½ cup sugar, oil, and vanilla until smooth and even. Sift over the egg mixture: flour, almond meal OR masa, corn meal, salt, baking soda and powder. As you begin stirring, gradually add the lemonade. Stop to scrape bowl often. Mix until smooth and even, folding in the reserved lemon zest at the last minute. 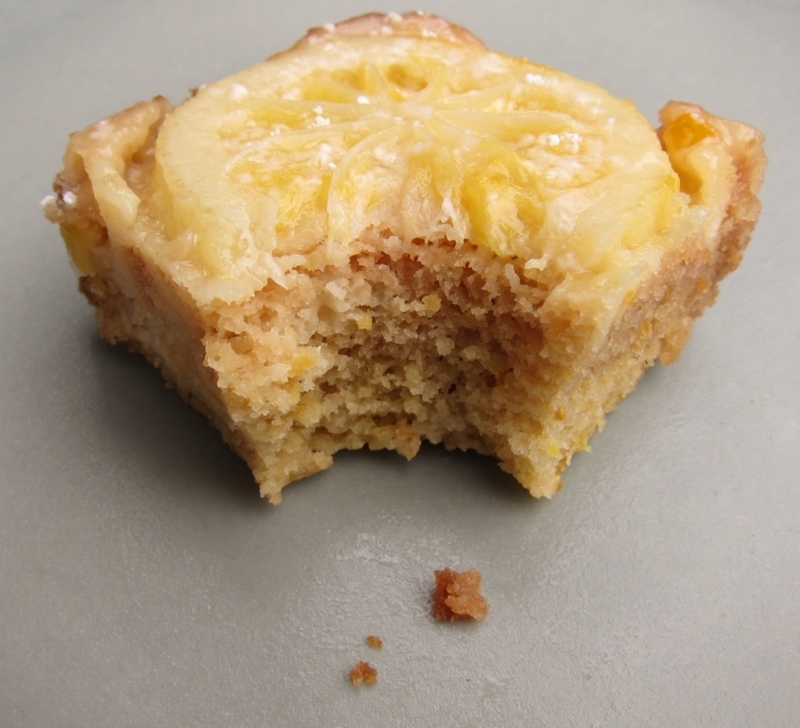 Pour batter over the lemon slices and bake for 30-35 minutes, rotating pan halfway through baking time. 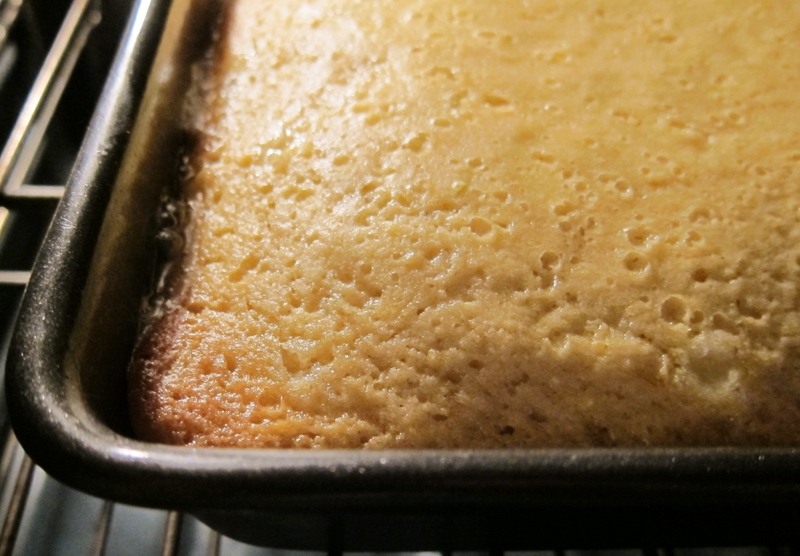 When ready, the cake will be golden brown and a toothpick inserted in the center will come out batter-free. Let cake cool in pan for at least an hour. If not serving within 6 – 8 hours, store cake covered in pan in refrigerator for up to 24 hours. When ready to serve, loosen sides of cake with a knife, then invert cake on a large platter or lined cookie sheet. Carefully remove parchment. If still hot, let cool to room temperature. Sprinkle with powdered sugar just before serving if desired. Cut into squares and eat within a day. The lemon slices soften significantly when cooked, so feel free to slice (or bite) right through them. Lemonade cake is super moist and citrusy — a perfect summer treat. With its hint of sour lemon and its toothsome, tender texture, each bite offers a burst of satisfaction in a delightful and delicious form. 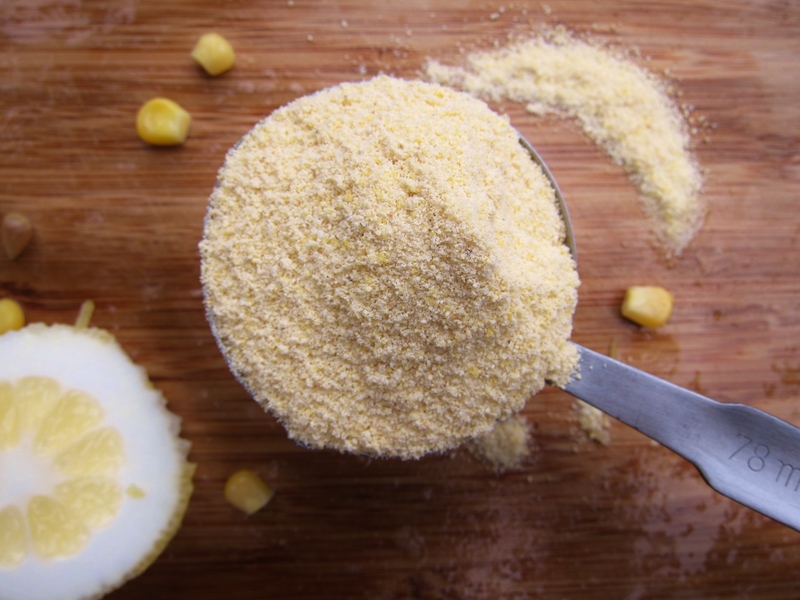 The sweet corn version is rich with masa flavor, reminiscent of the Mexican corn pudding you may have tried, while the corn-free version satisfies with simplicity and flecks of almond deliciousness. Sure: when life gives you lemons, make lemonade. But why stop there? Once you have the lemonade, make a dessert to share! 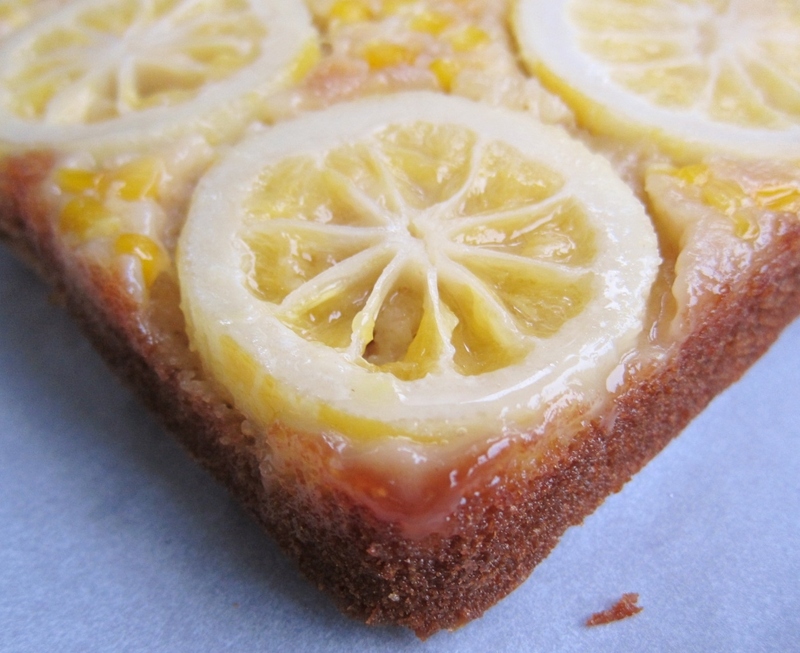 *Maybe next time… While both versions of this cake offer a pleasant citrus flavor, neither one is robustly lemony. For a strong lemon flavor, replace a teaspoon of the oil with pure lemon oil. Either version of this cake would be wondrous with a big handful of unsweetened shredded coconut sprinkled between the lemon slices before baking (an addition that’s surely next on my list!). For the non-corn version, I chose almond meal for its fabulous texture and gentle flavor, but you can substitute more all-purpose flour if desired. Similarly, the cornmeal in both versions is meant to add a nice bit of texture, but if you don’t have cornmeal on hand, feel free to replace it with more almond meal or masa. This entry was posted in Baking with Veggies, Cakes & Cupcakes, Sweets, Traditional with a Twist and tagged almond meal, baking, barbeque, BBQ, cake, casual, citrus, corn, dessert, fourth of july, leftover lemonade, leftovers, lemon, lemonade, lemonade cake, masa, recipe, summer, summertime, Sweet corn cake, yellow corn. Bookmark the permalink. This cake, especially against the lacy white doily, is gorgeous; it sounds so refreshing. 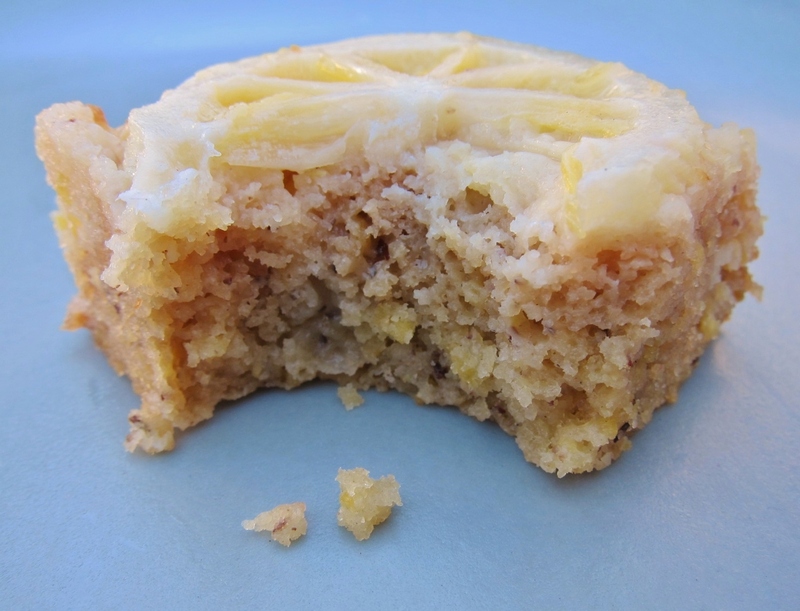 I adore all lemony things and was particularly excited to see lemon slices baked into the top of the cake. I wonder what a splash of limoncello would do here? Or a sugary limoncello syrup (I can’t help but think in Greek terms about dessert)? 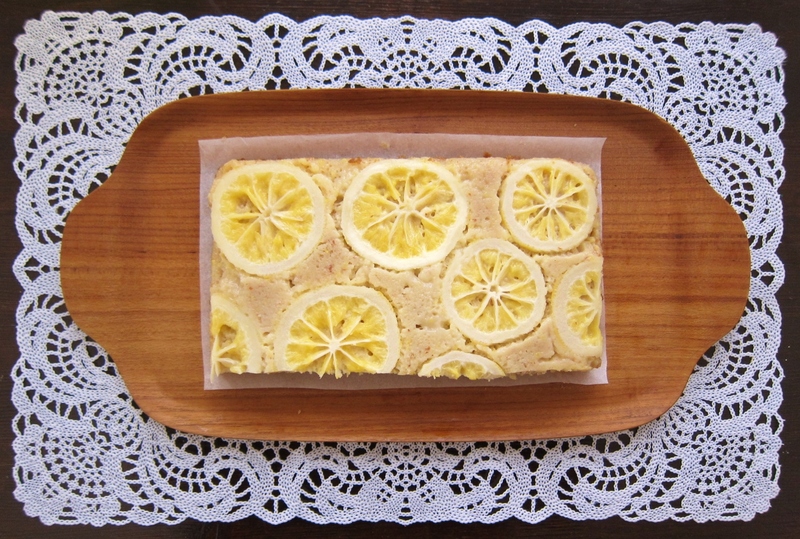 Thanks so much, Katy.� This cake is very moist and summery, but not powerfully lemony and not too sweet.� So your suggestion of limoncello or syrup made from it sounds like a perfect match.� Your thoughts are always so delicious! How in the world do you do it? I mean I’d look in the fridge, see lemonade & think, yup I’ve got lemonade…maybe I should set up a stand out front. You on the other hand see delectable sweets that just sort of happen. I know – I’ll set up the stand & you come see the goodies. My neighbors would go wild for some of these creations. You’re so sweet, Diane!� I think of turning lemonade into cake, but you think of sharing that cake with all your neighbors.� I’d love to come set up a stand with you! My goodness, how inspired! 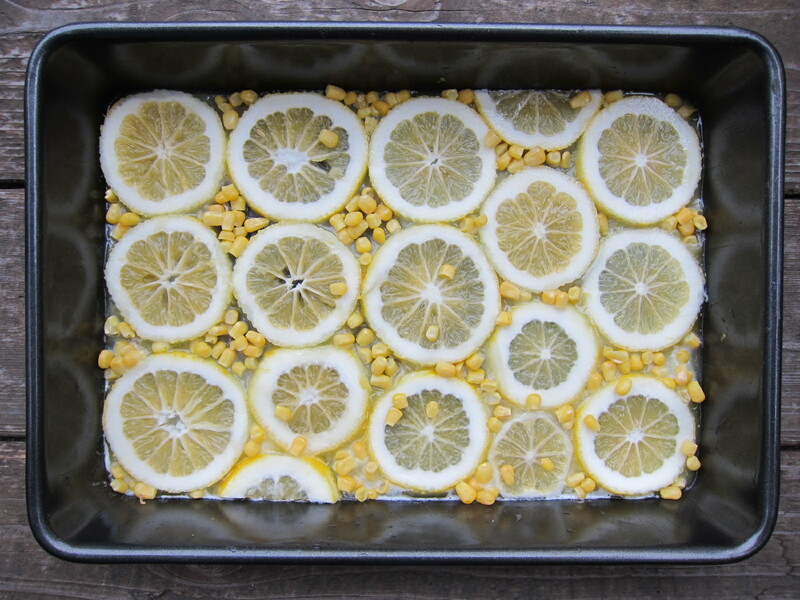 I am not sure I would ever have thought of pairing lemons and corn, but they sound perfect together! I would be eager to try both versions…which one was your favorite? Thank you, Cameron!� Now that I think of it, corn and lemonade together are sort of a “leftovers from a barbeque” theme.� : ) Hmm… I think my favorite was the almond meal version, only because the masa flavor was pretty robust in the other (though it could simply be reduced in place of more flour).� But I really loved the pieces of sweet corn, so I might keep those or try it with shredded coconut in their place.� It’s hard to choose!� But I guess that’s a good sign. Thanks, Lilly Sue!� I’m always impressed with what you share, too!� Cheers! This looks so good! It seems like it would also be nice on a summer morning with a cup of coffee or tea! Thank you for this beautiful recipe!